This was the headline of a February 1965 circular, typed and mimeographed, that went around to chapters of the Student Nonviolent Coordinating Committee — or SNCC, as it commonly went by — across the US. SNCC may have been the most important organization of the postwar civil rights movement. It grew out of the wave of sit-ins in 1960 and was guided initially by Ella Baker, the foundational organizer whose emphasis on bottom-up organizing and democracy deeply shaped SNCC’s vision and methods. Its members were on the frontlines of the struggle to dismantle southern Jim Crow, organizing everything from the Freedom Rides to the Albany Movement to the Mississippi Freedom Summer. SNCC members took the movement into the most dangerous areas of the deep South, where white supremacy was most deeply entrenched. They worked to educate and empower ordinary people, and also register them to vote. But few people today know that SNCC had a Research Department that interacted with organizers on the ground to help guide the group’s strategy and actions. Indeed, as the 1965 memo pointed out, even some SNCC organizers were unaware that they had a research office with a vast archive of news clippings, weeklies, reference books, and other documents that could offer insight into the larger workings of the power structures that were upholding racist oppression in the Jim Crow South. “Research can support field operations in several ways,” the circular announced to members. Researchers and the stored archives could be useful to SNCC’s Freedom Schools, speakers’ tours, investigations into racial discrimination by businesses, surveys of new areas to organize — even into analyzing the possibilities of organizing a new political party. The announcement asked organizers to make use of the Research Department, send in any requests, and even entertained the possibility of setting up state-by-state research hubs. What the history of the SNCC Research Department shows is the dynamic ways that research and organizing can go hand in hand, working together, to shape strategy and fight effectively for freedom and justice. The SNCC Research Department formally began in 1962, when SNCC Executive Secretary James Forman recruited researcher Jack Minnis to the organization to help develop its research wing. This was just two years after the wave of sit-ins in the spring of 1960, and SNCC had blossomed into a large organization that was at the forefront of the civil rights movements. 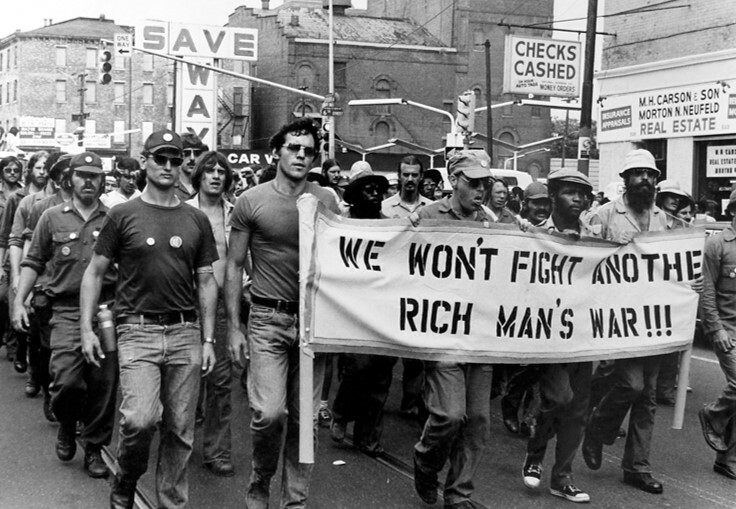 The group was spread across the South, from Georgia to Mississippi, and organizing to empower people, desegregate institutions and spaces, and register voters. Some felt that a research department of the group was needed to help inform the campaigns of an ever-expanding organization. 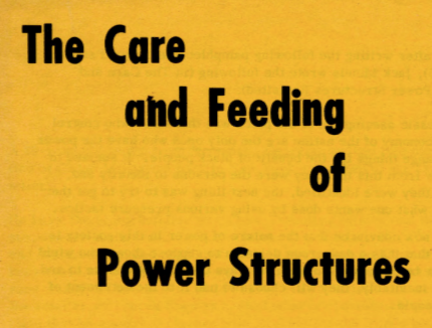 Minnis was a researcher who helped popularize power research in the 1960s with a pamphlet called “The Caring and Feeding of Power Structures,” which drew on the experiences of SNCC. He also produced a four-page newsletter called “Life With Lyndon in the Great Society” that showed the corporate ties behind the Johnson administration. By 1963, SNCC had formed an active Research Department that assembled a huge documentary archive and produced research that informed the group’s campaigns. The SNCC Research Department focused on power analysis to reveal the elite structures that were funding and underpinning Jim Crow. 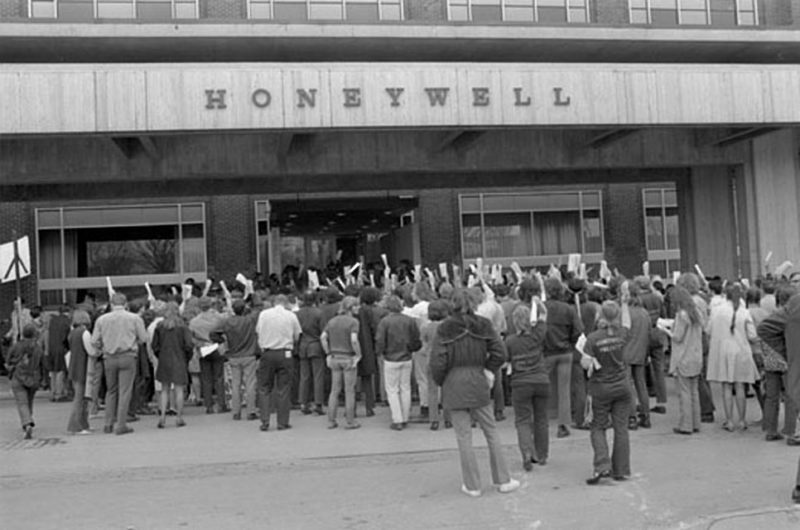 Researchers provided information to field staff to help their organizing campaigns. But research was not a top-down process in SNCC. 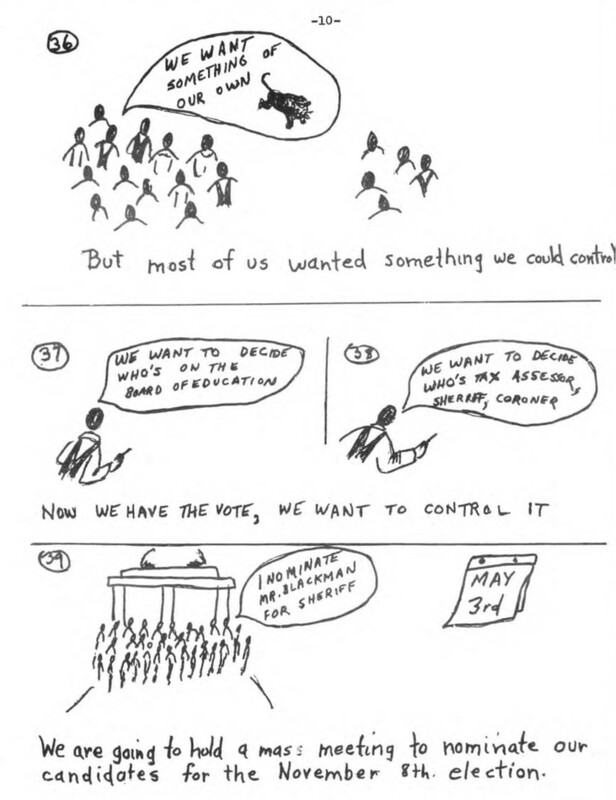 Rather, organizers and researchers worked closely with each other as a larger, collective unit. Organizers shaped and did research, and researchers informed and participated in organizing. Everyone was in constant interaction with each other. 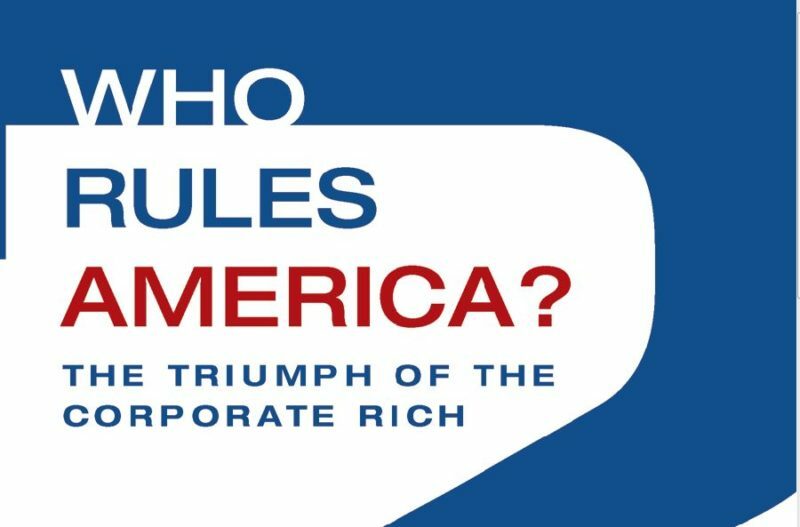 For example, one powerful figure — William P. McMullan — was a director of the electric company as well as chairman, CEO, and a director of one of the two banks. McMullan was also a board member of the Jackson White Citizens’ Council, which had major influence over Mississippi politics, police, and the courts. Information like this gave organizers a larger and more strategic sense of their targets and the bigger system they were taking on. In addition to power analysis like this, the Research Department put together other landmarks of SNCC literature that aided major campaigns. 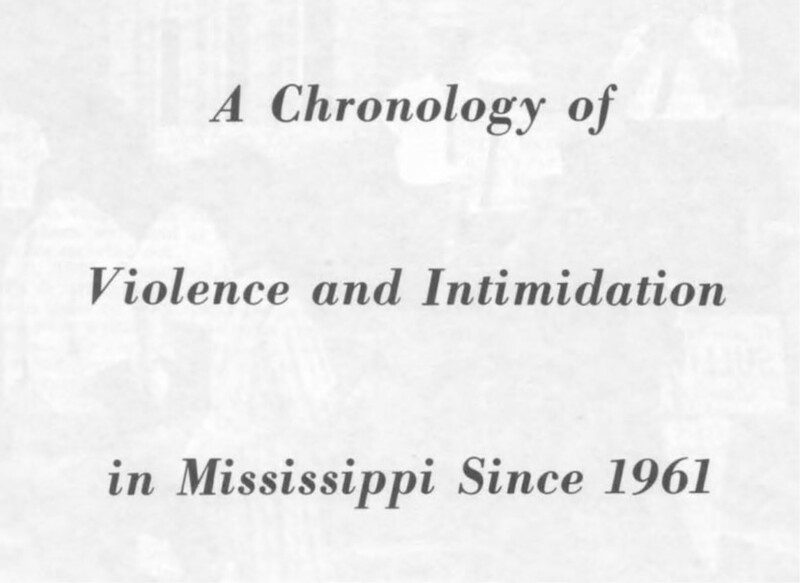 One example was “A Chronology of Violence and Intimidation in Mississippi Since 1961,” a detailed timeline of white supremacist violence and police intimidation in Mississippi that was prepared for the 1964 Freedom Summer. The pamphlet proceeded for 15 more pages with single-spaced, two-column text entries that documented incidents all the way up to the beginning of 1964. The findings of the “Chronology” were also published in Congressional Record on April 4th, 1963. “Then there would be these national staff meetings. Every five months or so, all our staff would come in from the field to share information and also to get some R and R… Most were eighteen- and nineteen-year old women and men, mainly African American, sharing organizing problems, discussing possible solutions, and requesting research from Jack Minnis, our crusty and rather enigmatic white research director. 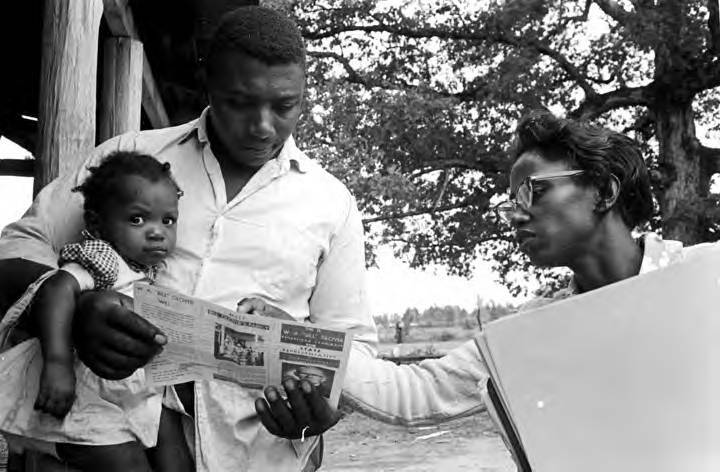 With Jack’s research, SNCC folks went into new communities armed with U.S. Census data and other information indicating the number of registered black voters, if any; the levels of poverty; the discrepancy between federal funding of African Americans as compared to white farmers from programs like the Agricultural Stabilization and Conservation Services (ASCS); and the main industries in the area — and all this before the advent of computers. Our discussions also included references to both the national and international events that were swirling around us. The SNCC Research Department was also called upon to look into possibilities and strategies for new political projects. For example, some know about the effort by Stokely Carmichael to help start the Lowndes County Freedom Organization (LCFO) in Lowndes County, Alabama in 1965. But fewer people probably know that the LFCO was in part made possible by the research efforts of the SNCC Research Department and the ways it worked with SNCC organizers to bring those findings to life. By 1965, civil rights organizers were registering black voters by the thousands in Alabama, but the only existing political parties were dominated by whites. In response, SNCC staff, working with local community organizers in Lowndes County, Alabama, started to entertain the idea of forming an independent black political party. That fall, Stokely contacted the SNCC Research Department about the idea. Researchers proceeded to mine through twelve volumes of Reconstruction-era law books to find an “obscure statute” that would allow for the formation of a new political party. An important lesson from these accounts is the way that the SNCC Research Department produced research that was connected to and concretely aided a living, breathing initiative on the ground by SNCC grassroots organizers. The Research Department conducted workshops with dozens of organizers to help them master the legal statute for running for office with a new political organization. 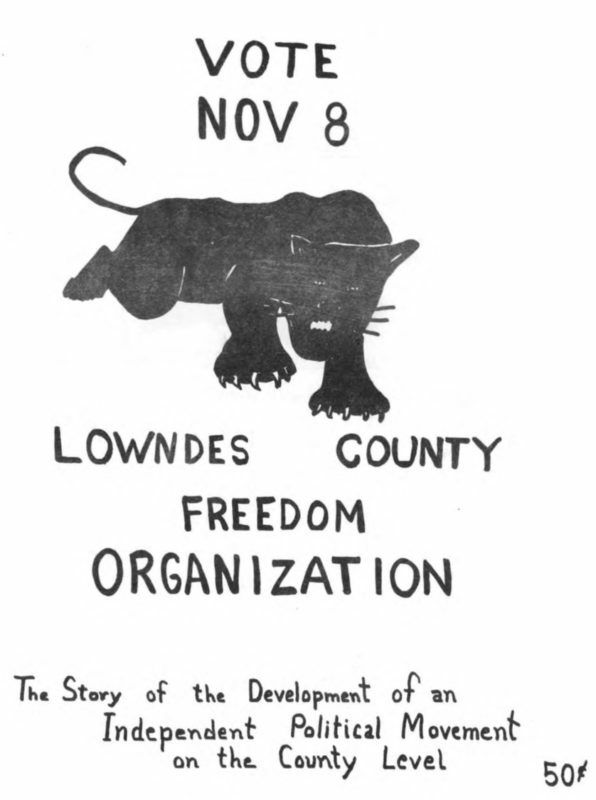 SNCC Researchers also put together informational flyers and “picture-stories” for mass distribution throughout Lowndes County. In this way — though a combined effort of research and organizing, melded together towards a common goal — the LFCO was able to take off. The history of the SNCC Research Department is an important example of how one of the great social movements of the past used power research to inform its strategies, tactics, and targets. As movements today try to make sense of the complex ways that power works, the SNCC Research Department can serve as an inspiring example of how research and organizing can go hand in hand to make history. Interested in learning more about how power research and organizing can work together today? Register here for Map the Power: Research for the Resistance.